The Jackets swept the Western Carolina Catamounts over the weekend at Russ Chandler Stadium to remain undefeated on the season. The team won in dramatic fashion on Friday night, coming back from a 4-1 deficit to win 5-4. On Saturday, the offense carried Tech to a 14-3 victory, and on Sunday, some early offensive production led to a 4-3 win. 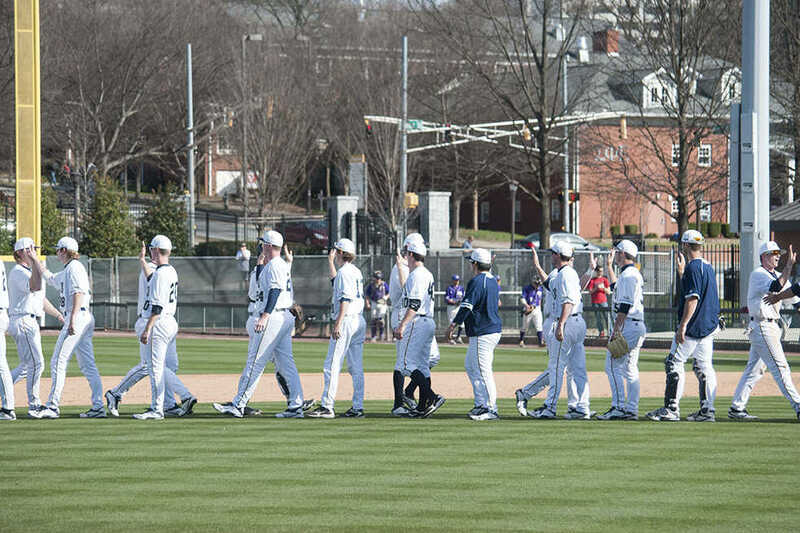 The team followed the sweep with a Tuesday matchup at Auburn that they won 4-1. Here are five key points that Jackets fans can learn from the series against WCU. The Jackets have burst out of the gate on this young season with 12 straight victories and zero losses. The 12-game win streak is Tech’s longest since winning 16 straight in 2011, and the team has not started off a year with this good of a record since going 16-0 to begin 2006. With Gardner-Webb’s loss to North Carolina on Tuesday, the Jackets became the last remaining undefeated team in the nation. This hot start has earned the team a No. 9 ranking in the Collegiate Baseball poll. A 4-2 deficit entering the bottom of the eighth inning did not discourage the Jackets on Friday night. Matt Gonzalez scored in the inning to cut the Catamounts’ lead to 1. Then in the ninth, Connor Justus doubled to bring home the tying run in Keenan Innis, and Kel Johnson finished the job with a single up the middle to score Justus. Johnson delivered with the team’s back against the wall, as there were already two outs in the inning. Perhaps the momentum from this dramatic Game 1 victory carried throughout the weekend and enabled the Jackets to earn the sweep. The team exploded for 14 runs and 15 hits in the game on Saturday. Gonzalez and Johnson each tallied a home run, while Justus tied a school record with two triples and drove home three runs of his own off of a bases-clearing triple in the sixth. Tech’s one through four hitters (Wade Bailey, Gonzalez, Justus and Johnson) totaled 10 hits, one double, two triples, two home runs and 11 RBI. Tech’s relief pitchers game up a total of just two runs across the three game series compared to the eight runs allowed by the starters. Burton Dulaney, Bobby Gauvreau and Ben Parr combined to pitch four scoreless innings on Friday night during the team’s comeback win and surrendered just one hit in the final two innings, a shutdown performance from the group. Five different relievers saw action across seven innings on Saturday and allowed only three hits while their own team put up 13 in the same span. Then on Sunday, Parr, Micah Carpenter and Matthew Gorst closed out the final three innings to clinch the final victory of the series. Relief pitching is one of the most important aspects of the game and can make or break a team’s postseason hopes. The Jackets look to be on the right side of that dichotomy so far, a trend that bodes well. It wasn’t all sunshine and roses for the Jackets over the weekend, including the majority of the Friday night game. The team had two runners on with nobody out in the eighth inning but only managed to score one run. Johnson represented the tying run on third base with two outs, but the team could not capitalize on the situation. Furthermore, Wade Bailey was thrown out at home. Neither incident prevented the sweep.